She plants a sweet kiss on the tender palms of Tanujashri, her year-old great grand daughter and bestows a beaming smile at the splendour of the human divinity. Ajay, her college-going great grandson runs into the living room and vents his latest arguments that he had with his sister, as the great grandmother listens to it with caring concern. At coffee time, she spends a light moment with Gayatri and Nitya, her beloved grand daughters, to whom she has bequeathed so much of her music and marvel. The phone rings and she answers in a raised tone, enquiring about the health of her grandson Charan and of course, of the weather in Adelaide, Australia. Her nonagenarian better half, Shri Iswaran mama, clad in shorts and shoes, announces his schedule for the evening at the tennis court. And, as he is on his way to his favorite game, she cries her heart out to the ever-disappearing long time family cook Krishnamurthy to give him his usual serving of fruit juice. In comes the vegetable vendor lady who dumps her huge basket right in front of her and the grand lady meticulously checks for fresh ladies’ fingers by breaking the tips off a few and ultimately makes a good selection of vegetables after an interesting bargaining session and a patient hearing of all the stories of Kotturpuram that the vendor woman provides! Smt D K Pattammal sports many more such happenings of her busy household with utmost passion as much as she is immersed in the nectarous ocean of the great art of Carnatic music. Much is known about her storming entry into the field of Carnatic music, her defiance of a male bastion, her redefinition of orthodoxy, her dedication towards singing for the freedom of Mother India and, not to forget, her meridian contribution to the showcasing of the colossal compositions of Shri Muttusvami Dikshitar. Pattamma, as she is fondly known to all, from babies to oldies, at 88 today, spends her time in the cozy quarters of her home in the heart of Madras, imparting to many, the invaluable wealth of her experiences with music and musicians. Her eyes would sparkle when she reminisced how the inimitable Nayana Pillai would sing a sprightly niraval at ‘tapamu pogada’ of the krti ‘Ne morabettite’ of Shri Tyagarajasvami. Many a time has she shared incidents, with a feeling of elation, about how doyens such as Shri ‘Tiger’ Varadachariar, Shri Chembai Vaidyanatha Bhagavatar, Shri Maharajapuram Vishvanatha Iyer and Shri Ariyakudi Ramanuja Iyengar have showered accolades on her for her strict and highly dignified adherence to sampradaya. The violin maestro, Shri Papa Venkataramayya, who was her neighbour when she lived in the suburb of T Nagar for a while, had invited her often to his home, to listen to her soulful rendition of several monumental krtis. 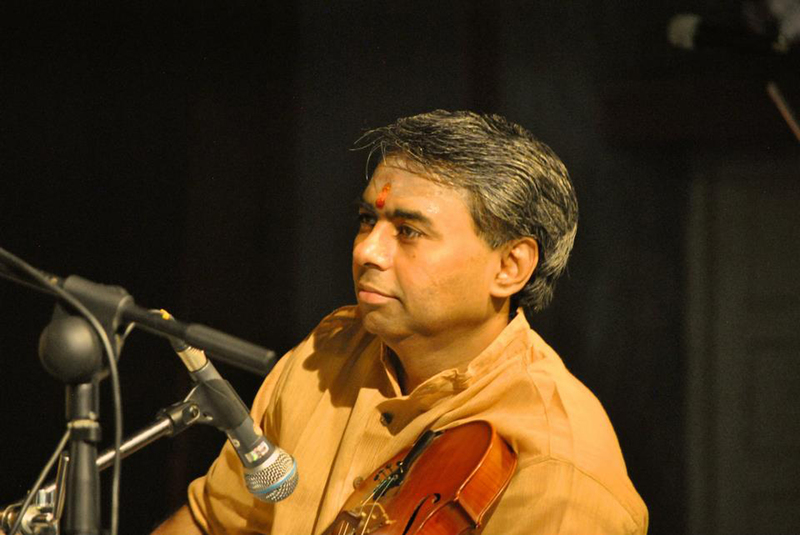 A new leaf was turned when the mridangam genius Shri Palghat Mani Iyer offered to play for Pattamma, breaking the long time bane of the male-female divide. Pattamma’s special affinity towards the Dhanammal family and their music was intense. She had sung for numerous important occasions in their household and was so enamoured by Smt Balasarasvati’s abhinaya, that she would re-enact a few of her sancharis for some of the padams; one such memorable exposition was for the Saurashtra padam ‘Aduvum sholluval’. She would choke with emotion each time she recounted how Shri Ambi Dikshitar wholeheartedly offered to teach her after listening to her Shri Subrahmanyaya namaste and how Shri T L Venkatarama Iyer literally held his last breath, eagerly awaiting the news of her being awarded the prestigious Sangita Kalanidhi. Nobody has been dearer to her than her illustrious brother Shri D K Jayaraman. Having raised him in her arms and been much more than an elder sister and a guru to him, Pattamma would always recall with motherly pride and love, his unparalleled intelligence, his supreme sense of aesthetics and the manner in which he scaled the glorious heights by his untiring efforts. A day wouldn’t pass without chatting with him for at least a while on the telephone, be it a hilarious conversation or even a heated argument. But to chat was a must. Tears would roll down her wrinkled cheeks when the thought passed that she had lost him to the gods. Nevertheless she would always console herself by quoting an adage from vedantic literature about the temporal nature of all creation. Shri DKJ also regarded his sister more than the most precious. He would at times instruct a few of us to fetch either a recording or a notation of a krti from Pattamma and it was always a great pleasure to visit her. A very caring guru that Shri DKJ was, he would keep Pattamma posted of concert schedules, achievements and progress of all his shishyas. Infact, it was at his recommendation that I played my first concert for Pattamma, one that still lingers fresh in memory and is undoubtedly one of my most cherished. Since then, it has been my great fortune to have the gracious guidance, support and encouragement from the Iswaran couple. Accompanying Pattamma was always a very enjoyable experience. All her concerts were immense sources of knowledge. Many a time would she sing rare compositions, unheard by many, and present them with an exquisite touch of class. Her concerts were always powerful incentives to learn more and they really helped in upgrading one’s repertoire. The values of tradition, authenticity and pathantara reigned supreme in each one of her highly dignified concert presentations. Learning from her is a joy, one of its kind. She would revel in the musical bliss of the krti and would often go down memory lane, taking us also along with her on to the vintage golden era of Carnatic music and musicians. Much as it would be an enlightening experience to listen to her talk about the greatness of our music, it is also great fun to listen to her narrations of numerous anecdotes in her characteristic North Arcot accent of the Tamil language. To anybody who comes to learn music, the doors of her home are always open and she is so endearingly generous in passing on her hard earned treasure of this great art form. Her teaching capabilities are only too well known. She has the art of initiating with ease, even a complex sangati, to her students, be it anybody, even from China or Japan!! Above everything, it is her abundant and unconditional affection for everyone that makes Pattamma very special. She has utmost concern for the welfare of her dear ones. Wishing always for the best of things, Pattamma, braving her age and health with her tremendous will power, still goes out of the way many a time to fulfil a task if that is highly rewarding. Be it arranging a concert for a deserving youngster or recommending a bright student for a scholarship or fetching an admission for a tiny tot into kindergarten at a prestigious school or even offering matrimonial counsel (in fact she categorically rejected an alliance because of the fact that she once saw the girl wearing a sleeveless blouse- sacrilege, in her opinion!!!! ), Pattamma always takes wholehearted care to see that the outcome is always fruitful. True to her name, her silken charisma shines today as a bright beacon to the fraternity of Carnatic music. When Pattamma holds a trivial gift of a pack of ‘Pringles’ or a strand of jade or a swirl of violet silk close to her heart, the spirit of the unblemished child like innocence touches the heart and inspires the soul. And as I listen to the long list of blessings that she voices, every time I fall at her feet and as she holds my hand for a while when I am just about to leave, an inexplicable feeling of bliss pervades, never to be forgotten.